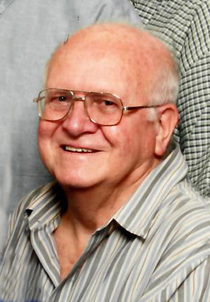 Timothy Burden, 78, of Woodsfield, Ohio went to be with the Lord on Friday April 5, 2019, at Marietta Memorial Hospital. He was born in Owensboro, Kentucky on May 17, 1940, son of the late Frances and Freeman Burden. In addition to his parents he was preceded in death by a son Shawn Scott Burden. Tim was employed by Akron Brass, Wooster, Ohio and then retired from the Texas Department of Criminal Justice in 2002. He is survived by his wife of 50 years, Dolly Mae (Piatt) Burden of Woodsfield, Ohio two daughters Kathy Lynn King (James) of Midlothian, Texas and Teresa Kay Jones (Noel) of North Richland Hills, Texas, 8 grandchildren Jeff Bevington (Debbie), Steve Bevington (Amy), Josh Bevington, Kelsy King, Julieanne Marcou (Colt), Laura Lucio (Joseph), Rebecca Pendley (Jason), Michael Jones (Christin), 14 great grandchildren Travis, MaKayla, Leanne, Edward, JJ, Levi, Julia, Emily, Jesse, Aiyana, Franky, Rosemary, John, Sarah and many loving friends and family. Friends and family received at Bauer-Turner Funeral Home, 100 S. Paul St., Woodsfield, Ohio from 12 p.m. until time of service at 1 p.m. Thursday April 11, 2019 with Paul Ferguson officiating. Burial will follow in Oaklawn Cemetery, Woodsfield , Ohio.